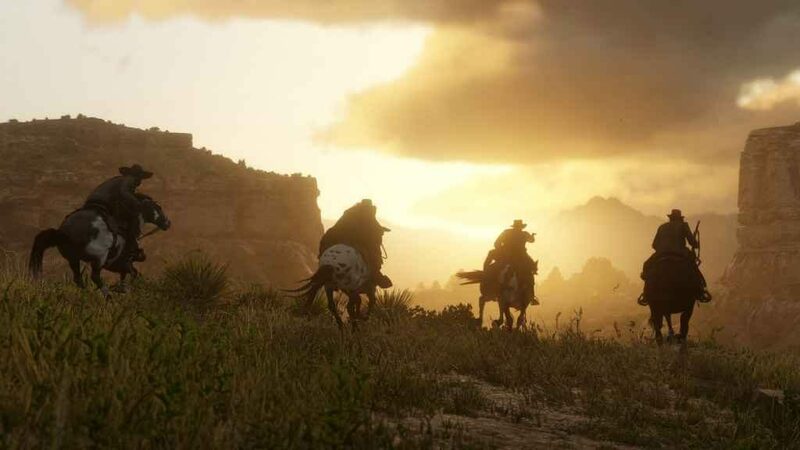 New figures released by Take-Two Interactive have revealed that Red Dead Redemption 2 has shipped more than 23 million copies worldwide since the game launched in October 2018. Contributing significantly to the company’s strong performance in Q3 of the current financial year. While impressive, the news is hardly surprising. In the days immediately following the game’s release, Red Dead Redemption 2 recorded “the biggest opening weekend in retail sell-through across all entertainment releases” in history, posting a whopping $725 million. While, over a three-day period, it registered the second biggest launch the entertainment industry has ever seen, second only to Grand Theft Auto V.
Outstripping its illustrious predecessor, Red Dead Redemption a game that had been available for eight years at time of release) in just eight days. And, assuming it can replicate the formula that has made GTA Online such a hit with gamers, Rockstar’s latest is sure to attract players for years to come. Arguably of greater importance as far as fans are concerned, Red Dead Redemption 2’s critical reception mirrored its financial success. Receiving various Game of the Year nominations and numerous perfect scores in the months following its release, contributing to an incredible 97/100 over on Metacritic. Red Dead Redemption 2 not only lives up to expectations, it smashes them. Improving on its predecessor in every way that counts, it also reignites interest in its landmark prequel, enhancing the overall experience to an epic scale and giving gamers an odyssey quite unlike any other. If you haven’t got around to playing it before now, Red Dead Redemption 2 is currently available at the discounted price of £39.99 in the UK. Part of the “Big Games, Big Discounts” sale. I really don’t get the popularity of thos game. Its mediocre. People really do have bad taste and just buy into hype. After 20 hours I had enough. Rockstar is overrated. Their fans would litterally by trash if they sold it.